“Begin to weave and God will give you the thread” (German proverb). I came across this quote while I was looking at cards for the Jubilee celebrations we had this past weekend. It resonates with me as I continue to think about this Easter Season and the daily readings from the Acts of the Apostles. 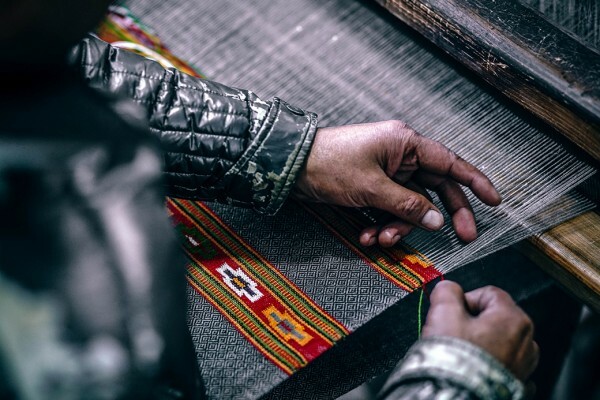 When we begin weaving, we not only follow Jesus but we also are witness to His Way! I am seeing power in the Word! And this Word needs to be connected with action. All of this also takes trust -- will God supply the thread? Our new Christians risked everything to follow and witness the new way of life. They truly believed that God would supply the thread. The question that I need to ask myself is if I trust that God will continue to give me the thread to continue my weaving. When things are going smoothly, it is easier to trust. But for me, it is a little harder to trust when I am not sure why things are happening. Perhaps it’s just me, but I think I might find a few folks who have had the same thoughts. So what do we do? Most importantly, it is necessary to keep in mind that God is always with us. It is important to surround ourselves with positive, faith sharing people. Spend time in quiet prayer and listen to the voice within that helps us to continue weaving our life of witnessing the way of Jesus. As the Easter Season continues and we continue hearing the wonderful stories in the Acts of the Apostles, take the time to look at your life’s weaving. Don’t forget to trust that God WILL give you the thread. Have a great week!